Gucci came up with a new fragrance for men known as "Made To Measure". Just like a tailored made wear, they envisioned the men that demand nothing but the best for himself. I decided to give this fragrance a review as some of you would know, I do take pride in how my shoe shines, my shirt pressed and my pants fits my body. More than that, smelling good (read : not overpowering) is the basic of grooming any men should at least aim to achieve. 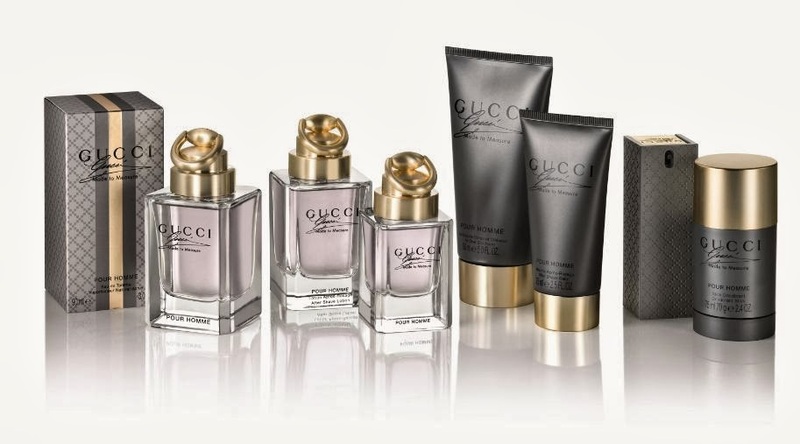 I received an email from Gucci that they will send me a sample to try out and review, if I am interested to write about it. Being a fragrance-liker (and all things that smell nice), I was naturally excited. 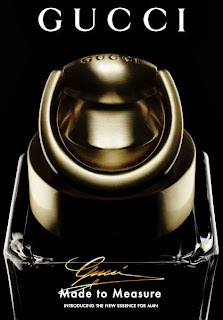 The previous Gucci fragrance I've reviewed was the Gucci Guilty Black. 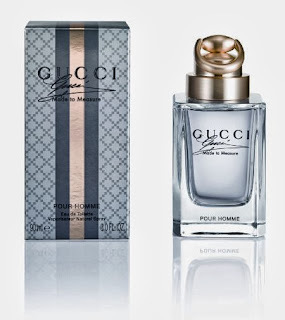 Just like the Guilty and in line with Gucci's consistent approach, the base note was the signature Patchouli where it lend the woody end to the fragrance. 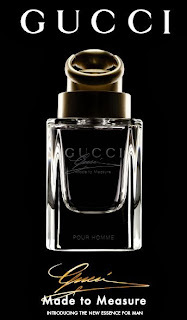 It did not dissapoint, where the Gucci Guilty Black triumphs as the bolder scent, the Gucci Made To Measure tone it down two steps to make it suitable for all-hour wear without being over-powering. Again, for the record, The Gucci Guilty is superb for a night out scent and men that loves their fragrance bolder. The Made To Measure is good for daily daytime wear and from experience of using it the past 1-week to work (including being wrapped in my motorbiking jacket), it has been really pleasant. I usually spritz once or twice onto the shirt I am wearing (chest area) and the scent stays on until the very end of day. The top note which were spicy gives a warm feel and this carry over the heart or mid-note where the scent carry the spicy undertone. The fragrance appear to be transparent until you place it against a white background and you will clearly see it to be in a purplish hue. Enjoy some of the product shots I took below of the fragrance. Clearly, the Made To Measure are made for discerning men. 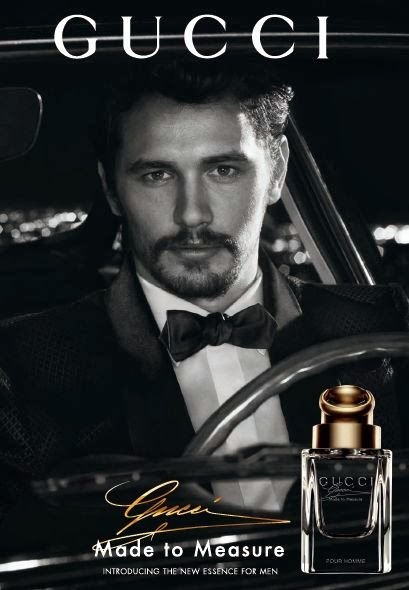 The ambassador for Gucci Made to Measure is James Franco - you have seen him in the Spiderman trilogy as Harry Osborne. Gucci has long distinguished itself as a symbol of success for the world’s most stylish individuals. 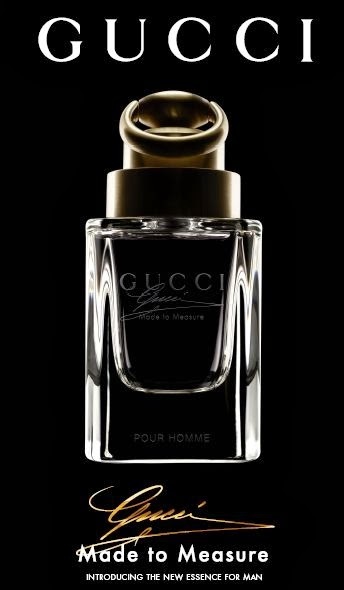 This autumn, Creative Director Frida Giannini has conceived a new fragrance legend in the impeccably sophisticated guise of Gucci Made to Measure for the man who demands the very best. Worldly and refined, this is a man whose opinions have authority: others naturally defer to his judgement. Even in his daily routine, he stands out from the crowd in his Gucci suit and the classic Gucci by Gucci scent. However, when the occasion demands, our discerning hero will strive to stand out with something uniquely tailored to his body and his requirements. For the ultimate in refinement, Italian craftsmanship, and consummate attention to detail, he wears Made to Measure. 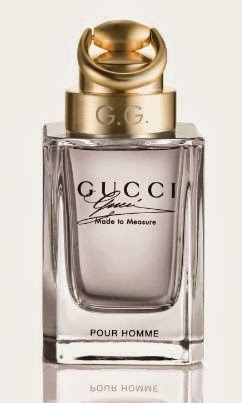 The Gucci Made to Measure fragrance represents an intensely masculine partner for the iconic female perfume Gucci Première. As the Première heroine is enveloped in her couture gown and fragrance, so is her companion in his Made to Measure suit and scent. He is a connoisseur, whose every move speaks of his desire to make a unique statement, giving him a distinctive edge. His fragrance, tailoring and demeanour distinguish him as a man apart – a man whom others aspire to be. Made to Measure is a spicy oriental fragrance tailored to make a lasting impression. The fragrance is constructed like the Made to Measure suit: each accord and ingredient lending texture and structure, creating a whole that is a harmony of fabrics and detail. The aroma combines judiciously selected ingredients from around the world, echoing the sophistication of master tailoring. 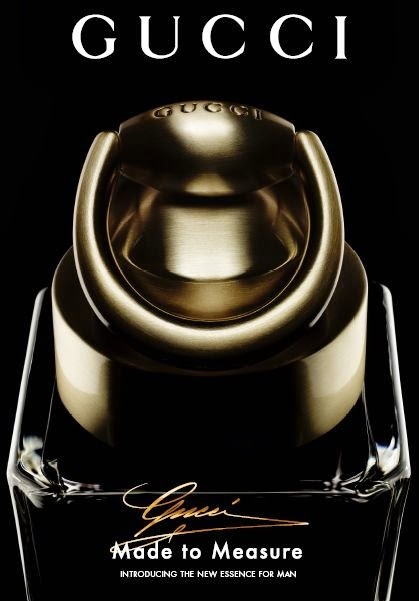 It is a scent that is specially crafted with the Gucci philosophy of attention to detail - a fragrance that has taken many years and hundreds of iterations to perfect. The first encounter with the fragrance is akin to the look and feel of a handmade suit. Anis Seed, hand-picked, distilled Tunisian Orange Flower and the best Calabrian Bergamot. The smoothest Provencal Lavender tempers their potency, producing a caressing, soft, yet warm effect on the skin – stylish and comforting as a luxurious silk lining. The scent’s core is eclectic, lavishly spiced and textured – a beguiling combination fused to idiosyncratic effect. Texture and masculine elegance is achieved with piquant and bracing notes of Juniper Berry. While the rich, tonal enigma of Sri Lankan Nutmeg and succulent Plum replicate the plushness of cashmere. Just as the mark of an exquisitely crafted suit lies in its structure and silhouette, so the dry down gives the fragrance its tailored core. The richness of Amber, along with the leathery opulence of purified Andalusian Cistus combine to express an unmistakably masculine sophistication. The scent’s signature comes in the form of the best Indonesian Patchouli: the signature ingredient of all Gucci perfumes - refined, exotic, conveying the ultimate in luxury. One further ingredient is required: the man. For a suit is merely a beautiful silhouette until its owner wears it. It is only then - when worn - that it becomes something more. Similarly, the perfume’s refined leather and rich spices combine with the warmth of the skin, the Made to Measure man’s character, and the style in which he wears it. A concoction of this distinction sets high expectations for design. These expectations are met in Frida Giannini’s exquisite flacon and packaging, configured to sit most handsomely opposite Gucci Première. Actor, writer, director, and university lecturer James Franco, who has been the face of Gucci’s male fragrances since 2008 (including Gucci by Gucci Pour Homme and Gucci Pour Homme Sport), returns to embody the Made to Measure man. Among his many releases for 2013, Franco has starred as Oscar Diggs in Sam Raimi’s eagerly anticipated Oz: The Great and Powerful, and the critically acclaimed Spring Breakers directed by Harmony Korine. He recently directed and starred in an adaptation of William Faulkner’s As I Lay Dying, which will premiere at the 2013 Cannes Film Festival. This summer he will be seen starring in The End Of The World with Jonah Hill and Seth Rogen. He also recently shot True Story with Jonah Hill and will next shoot Paul Haggis’ The Third Person. Franco first achieved international fame with his haunting portrayals of anti-hero Harry Osborn in Sam Raimi’s celebrated Spider-Man trilogy (2004-). He also starred in the revived Planet of the Apes franchise Rise of the Planet of the Apes (2011). His awards have included a Golden Globe for Best Actor for the TNT biopic James Dean (2001), a Golden Globe nomination for Pineapple Express (2008), an Independent Spirit Award for Best Supporting Actor in Gus Van Sant’s Milk (2008), and several prizes and nominations for his starring role in Danny Boyle’s critically acclaimed drama 127 Hours (2010). Franco’s ability to perform across genres is unrivalled and he is as at ease with high drama as comedic roles. Franco will star in a memorable advertising campaign that epitomises masculine refinement. James Franco, handsomely dressed in a Made to Measure tuxedo, stands in front of a bow window at the Sunset Tower Hotel, one of Hollywood’s most distinguished landmarks. Its Art Deco styling and iconic shape are alluded to in the Made to Measure flacon. Looking out onto the gleaming cityscape, our man is inspired by the city of dreams, the city of possibilities, the city of fantasy. This reminds him of a perfect summer night’s drive along Mulholland Drive in his 1965 Lamborghini 350 GT, the City of Angels glimmering in the background. He feels the freedom of the city, of his destiny. The director of this supremely sophisticated commercial is Nicolas Winding Refn, director of the critically acclaimed thriller Drive (2011), for which he was awarded best director at the Cannes Film Festival 2011, the internationally renowned Pusher trilogy (1996-2005), as well as cult hits Bronson (2008) and Valhalla Rising (2009). His next feature film, Only God Forgives, will screen in competition at the 2013 Cannes Film Festival. The Made to Measure advertising campaign, both television and print, was art directed by Riccardo Ruini, Creative Director at REM (Ruini e Mariotti), who has collaborated with Frida Giannini on Gucci's fashion and fragrance campaigns since 2007, including Gucci Guilty which recently won the coveted prize for Best Media Campaign at the 2011 US FiFi Awards.